The name TRAMsoft derives from the initials of the founders Thomas Müller and Reto Ambühler. It is written in 4 uppercase and 4 lowercase letters to reflect the fact, that the SHARP PC-1500 supports uppercase and lowercase letters. The previous models supported only uppercase letters. 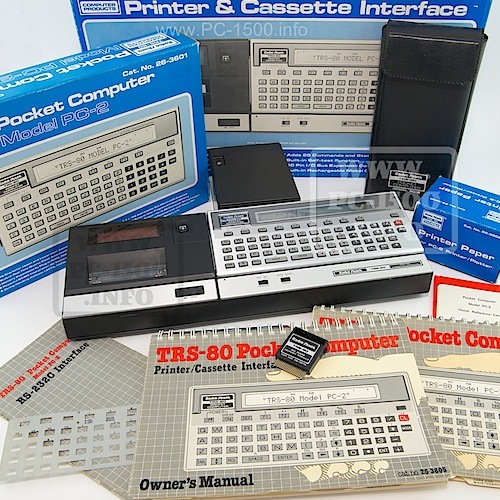 The company TRAMsoft Ambühler & Müller was founded in 1983 as a general partnership, but its history goes back to 1980, when Thomas and Reto discovered their passion for programmable pocket computers while they were students at the University for Applied Science, then known as “Technikum Winterthur”. They used their Texas TI-59 to solve many problems in math, physics, electro technics and many other disciplines during their study. Thomas once even wrote a program to find the measure of German poems. 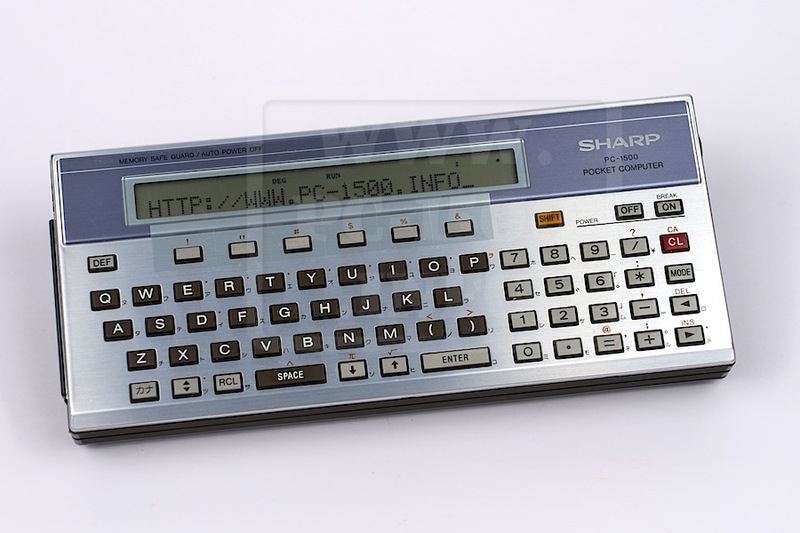 In 1982 SHARP released the BASIC programmable pocket computer PC-1500. Thomas and Reto became fascinated by this machine from the very beginning. 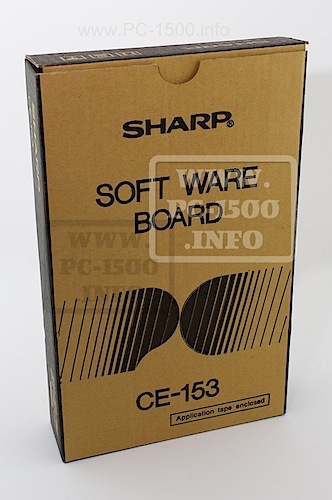 Even though SHARP did not unveil the details about the internal programming, the two started to explore the operating system step by step. After many sleepless nights, they disassembled the complete operating system by a kind of reverse-engineering the operating system’s ROM. 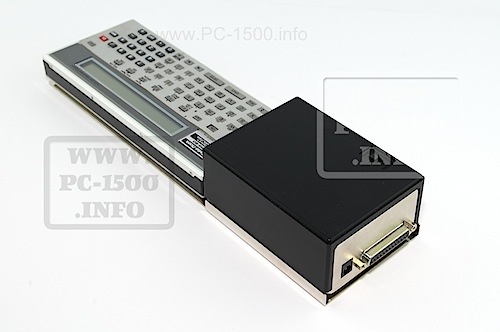 It turned out, that the PC-1500 was design for flexibility and extensibility at a very high degree. Thomas and Reto developed not only an external hardware that allowed to add new BASIC commands, but they also wrote their own assembler to compose the required software. They continued to develop additional hardware and software for various purposes, even for industrial applications. The TRAMsoft Toolkit was the first commercial product sold by TRAMsoft. The hardware consisted basically of an 8 kB EPROM and a frequency modulation/demodulation unit. The former could be programmed to store up to 4 different sets of BASIC commands, the latter supported writing and reading programs to and from a cassette recorder. TOOL1 provided a set of additional BASIC commands for easier and more efficient editing, such as FIND and RENUMBER plus commands for modular programming. TOOL2 provided 25 times faster save and load operation than the built-in CSAVE and CLOAD commands plus additional options to support modular programming. TOOL3 was a collection of additional functions such as decimal – hexadecimal conversion, extended error handling, operations to manipulate variables including REDIM, string manipulation and more. TOOL4 provided extensive support for statistics and so called “synthetical programming”. The latter means that the BASIC program could modify itself during execution. With the TRAMsoft Toolkit and optional devices from SHARP, users were faced with the problem, that they could not use more than one external device at a time. To overcome this problem, TRAMsoft developed the so called expansion box or E-Box for short. The E-Box provided four connectors, so users could connect up to four external devices at the same time. Each port could either be configured by switches or by software. For maximum flexibility, read and write access to each port could be controlled individually. This allowed to even connect devices which covered the same address range. Thomas and Reto always had been fascinated by data acquisition and process control applications. Therefore they developed a data acquisition interface or A/D converter for short. The first device, which became known as “Standard A/D Converter”, supported 8 input channels for data acquisition and 4 digital output lines. It provided up to 6 conversions per second with 12 bit resolution. When the PC-1600 came out, even more sophisticated applications became possible and faster data conversion was needed. TRAMsoft developed the “Advanced A/D Converter” which supported up to 1500 conversions per second. It also had 8 channels and 4 digital output lines, but the number of A/D channels could be doubled with an optional extension which also added 4 digital input and 10 digital output lines. In order to read and store data at such a high rate, the software had to be written in machine language. It stored the data into a DIM variable so it could be further processed with programs written in BASIC. An optional program written in machine language even provided asynchronous data acquisition, which means a program running in the background collected and stored data while a BASIC program run in the foreground, both completely independent of each other. With the increasing number of programs and their growing size, a need for nicer printing and more comfortable storing arose. Both issues were addressed with the parallel/floppy interface. The parallel interface could either be used for input/output operations or to connect a printer with a parallel interface, also known as Centronics interface. The built-in software provided commands such as LLIST to print out program listings and LPRINT to print output from a BASIC program. The floppy interface on the other hand supported storing and loading programs and date to and from floppy discs. The interface supported the Commodore VC-1541 5¼” floppy drive. The PC-1500 and the PC-1500A were both equipped with a slot which could accommodate a memory module with up to 32 kB capacity. TRAMsoft first developed a 32 kB memory module which could either be equipped with a RAM or an EPROM chip. The former provided additional space for BASIC programs, DIM variables and/or software written in machine language, the latter was suited to distribute software. The PC-1600 was equipped with two slots, one could accommodate a memory module with up to 32 kB, the second even up 256 kB RAM. TRAMsoft offered modules from 32 kb to 256 kB, some even with a backup battery so they would no lose the data when removed from the pocket computer. In the mid 80s, TRAMsoft started to develop a number of custom applications. Even 30 years later, some of them are still in commercial use! Others had been migrated to PC-based applications, either by TRAMsoft or by other companies. A member of the zoological institute of the University of Berne had the task to find out, how quick termites react to changes in the environment. He wanted to place up to 32 light barriers around a termites’ nest to count the number of animals heading in a particular direction. He placed some food at one spot and analyzed the changes in the moving pattern of the termites. Since he did his experiments at a remote location in Africa where no electrical power was available, he needed a system that he could run on a car battery. The PC-1600 plus a modified TRAMsoft parallel/floppy-interface was the perfect solution. TRAMsoft also provided the software to collect the data, store it on a floppy disk, to perform statistical analysis and to print out the results. From the very beginning, TRAMsoft worked together with a company located in Biel which was specialized in robotics applications. They had tremendous skills in mechanics, but only limited experiences in electronics. One of the many projects we did together was an appliance to test the safety vent of commercial batteries. The goal was to apply pressure at two particular levels were the vent must remain seal and then increase the pressure until the vent breaks. The pressure where the vent broke must be within a certain range. They used a PC-1600 plus a TRAMsoft Advanced A/D converter to measure pressure and to control the pump. Many years later, TRAMsoft adapted the system to a PC based solution. The goal of this appliance was to test precision resistors. A PC-1600 combined with a TRAMsoft A/D Converter was used to apply a high precision voltage to a resistor and to measure the current. The software computed the resulting resistance and tested whether the result was in the required range. A digital output line was used to indicate whether the resistor was ok or not. Do you remember previous articles ? The interfaces from TRAMSoft are really amazing. Specially the Parallel/Floppy – Interface was verry useful to me. IIt workes with the VC-1541 but also the1571 and also the 1581 ! It does not like the new SD2 IEC – Interfaces which are verry space saving and would fit perfectly to the PC-1500 ( and also 1600 ) ! My assembler and hardware – knoweledge is not good enough to figure out why, with only 1 SD2IEC – Interface out of 4 I I can write and read a file to root directory, the “Command” to change the direectory or select an image is not working correct, you cant use other commands as the original internal ones of the drive ( such as new, scratch, rename …. ) ? Just a bug ? And the free space is not displayed correctly, too less bits for the huge amount of free blocks ? Not THAT problem, but doesnt look nice and you can`t check that out from within a program. And the Commodore C64, C128 and so on which use this. And I saw also something for Amiga, Amstrad …..
Who wants to build an SD ( respectively microSD ) Interface for the 1500, 1600 ? 1650 ? ?